Dr. Klein is the best. Honesty, sincerity, dedication, expertise, compassion, intelligence. I want Dr. Klein in my corner. I have been very pleased with Dr. Klein and his staff for many years through multiple conditions – pneumonia, broken hip hospitalizations and atrial fibrillation – and have not had another issue with my heart going out of rhythm since I’ve been his patient. Dr. Klein is an outstanding physician who is thoroughly involved in my long term care. He has improved the quality of my life through his diagnostic skills and treatment. 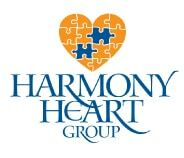 His staff and Nurse Practitioner, Susan, are caring and professional and I would recommend Harmony Heart Group without reservation as top notch first class. Enjoying Life - Thanks To Dr Klein! I’ve been watching cooking shows a lot more now, it’s like my subconscious is thinking of ways to turn a high-fat recipe into low-fat, low-sodium. Dr. Klein saved my life in more ways than one. It’s like he gave me permission to enjoy life again, to enjoy what I’m eating within Heart Healthy parameters. Fixed the problems with the veins in my legs!!! For years I had problems with the veins in both of my legs. I could barely walk because of the swelling. Even pain medications couldn’t control the pain. I went to several doctors but got no help. I told Dr.Klein, my cardiologist. He suggested that I do an ultrasound to see if I would be a candidate for Venous Closure. I had the Venous Closure done on both legs by Dr. Klein and I am now pain free. I highly recommend this procedure to anyone who is having problems with veins in their legs. I would like to take this opportunity to let Dr. Klein know how wonderful Stacey is. All of the staff is fantastic, but I started to panic yesterday when I found out I needed an angiogram. Stacey calmed me down; she has this hypnotic, soothing effect. She helped me focus so I could organize my thoughts. Now, friends and coworkers are telling me that stents are pretty common nowadays, and I’m not a failure or a freak. Thanks again to Team Klein. Love Dr. Klein and staff! I’ve been going to Dr.Klein for years and he is a very kind, caring doctor. If you ask a question he takes time to explain so you understand. My heart has been doing excellent with his care. As for his staff, they are the greatest, couldn’t find a better group anywhere. When they tell you they will do something, don’t worry, it’s done. They make you feel at home. Every office should have that atmosphere. Love them all. Although I’ve only been coming to your office for a few months now, I want you all to know that I’ve been “wowed” by the level of professionalism and personalization that everyone in the office exhibits. From making an appointment to checking out once the appointment is over…each stop along the way is top-notch. THANK YOU, for making what could be a not so fun experience be a pleasurable one!! Dr. Klein is very efficient and knowledgeable. He has an excellent staff that is always happy to see you.